At last I’ve completely redesigned the Discovering Egypt website. The new and improved site will automatically adjust itself to all devices – computers, tablets and mobile phones. Most of the text and images have been updated, as well as some new content such as the ‘Rosetta Stone’ and the ‘List of Egyptian Dynasties’ now from the old kingdom to the end of the late period. In fact there is so much that’s change I’m going devote most of this newsletter to describing the website and its new features. The format of future newsletters will also change. Rather than long newsletters, which I never do when I’m working on time consuming projects, I’m going to make shorter missives and more often. There is a new ‘Search Box’ for more accurate key word searches and there is also a new ‘Language Translate’ drop down. Most pages also have a ‘Print Friendly Button’ which allows a print preview with the option to delete elements such as ads before you print the page, thus saving your ink. I’ve reduced the main categories in the top navigation bar to Hieroglyphs, Hieroglyphic Typewriter, Pyramids & Temples, Kings & Queens, Mummies, Videos and 3D Temples. Hieroglyphic Typewriter – I’ve removed the print button from the keyboard – you can still print using your browser’s print function. I’m going to use this space on the keyboard from something else – not decided yet. While I was working on my last project for Imaginarium I made a lot of extra content which I’m incorporating into the website. I created a 3D world of Thebes and built in the ability to make other images and videos later using the same scene. If you go to the Pyramids & Temples section and check out the Karnak and Luxor pages you will see these new images and videos. 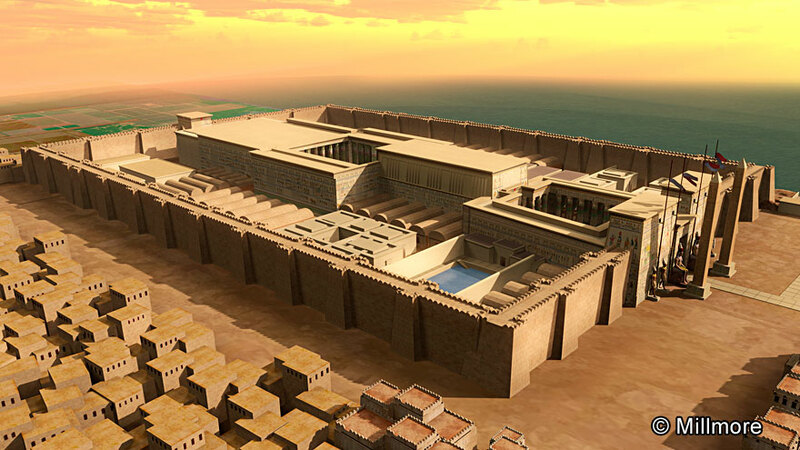 I’ve also updated all of the other temples pages and am in the process of creating a new section about Egyptian cities, which will appear on the site over the coming months:- the first will be a description of the cities of Memphis and Thebes. Kings & Queens now includes Crowns & headdresses, the dynasty list has been redesigned and now includes the Late Period. Tutankhamun the Boy King is new and I’m also working on Cleopatra. Over the years I’ve received many emails asking ‘do you know where I can find John Romer documentaries’. So check out John Romer’s Ancient Lives in the video section which has been completely reworked. 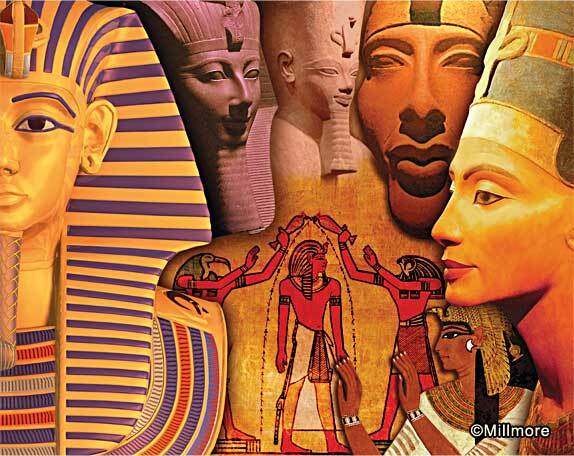 I’ve been more discriminating on the documentaries that I’ve included and have divided them into subjects starting with Kings and Queens – Sneferu, Hatshepsut, Thutmose III, Nefertiti, Amenhotep III, Akhenaten, Scorpion King, Cleopatra and the Faraon Royal Procession.Then there is a Miscellaneous Collection of documentaries which include :- Building the Great Pyramid, Mummification (Bob Brier), John Romer Ancient Lives, Animal Mummies, Rosetta Stone, Library of Alexandria and The City of Heracleion Discovered. If you have any recommendation please send the link for me to review. I’ve removed some older ‘dated’ stuff and am making new 3D reconstructions using more up to date technology. Over the past year I’ve got into populating my temple reconstructions with people. Having ancient Egyptians in the scene gives a sense of scale. So over the next few months this part of the website will have my latest reconstructions and also feature some of the ancient Egyptian people I’ve made.